Located at his native house, the exhibition presents photographic and cinematographic technology developments on the background of J. M. Petzval’s life and work. There are more than 600 exhibits documenting the photographic optics history. Moreover, the attention is focused on Petzval’s inventions documentation, including his most famous objective lens. 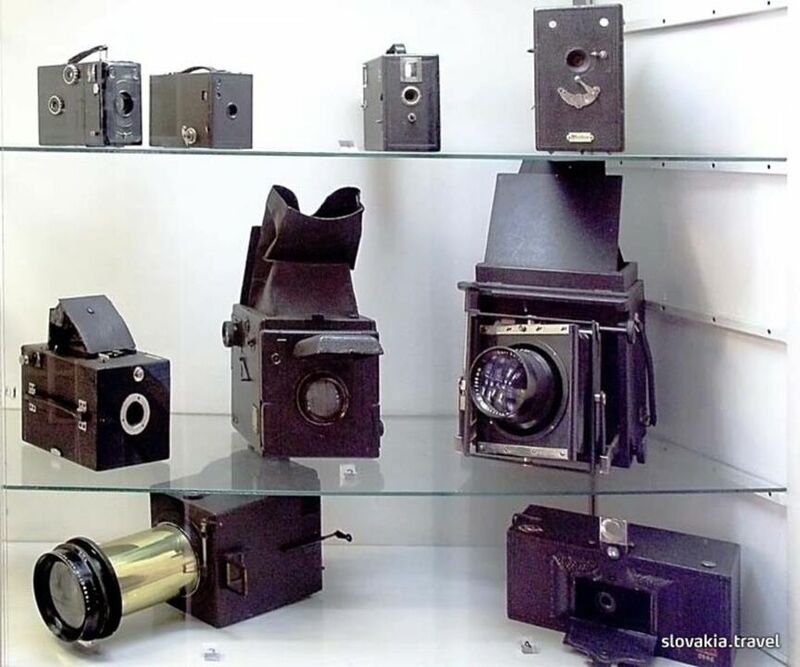 Visitors may find out a lot about photographic equipment developments from gas lamps to photocopying machines. The unique collection of camera shutters is especially remarkable. A special section has been dedicated to the origins of cinematography whose development was also significantly influenced by Petzval’s discovery. Každá 1. nedeľa v mesiaci vstup zdarma v čase 12.00 - 16.30 hod. This elegant 4-star hotel is located in the historic city centre of Kezmarok, only 200 m from Kezmarok Castle. At the foot of the High Tatra Mountains, this pet-friendly hotel is situated in the historical town of Kežmarok. The on-site restaurant, offering Slovak and international cuisine, features a fireplace. Chata Dáša je ideálna voľba na relax pre rodiny s deťmi a pre tých, ktorí majú radi súkromie a pobyt v prírode. The Hotel International is located in the High Tatras, in Velka Lomnica, in the middle of the Golf Resort Black Stork (18 + 9 holes), 6.2 mi north of Poprad. Featuring a home cinema and a games room with table tennis and billiards, the family-run Penzión Biela Voda offers functionally decorated rooms with mountain view. Located in Veľká Lomnica Village, the property is 7 km from Tatranská Lomnica Ski Resort. Set in the village of Veľká Lomnica, Penzion Rysy offers rooms with mountain views, a 5-minute drive from the Tatranska Lomnica Ski Resort. A shared living room with a seating area and a fireplace can be used by all guests. There is also a small cafe located on site. The location of the resort is suitable for everybody, whether you are looking for loneliness, the proximity of the mountains or the city. The holiday resort is located between Veľká Lomnica and Tatranská Lomnica and its proximity to Tatranská Lomnica (7 km) belongs to the alternatives, when people look for a holiday in The High Tatras. Only 5.6 mi away from the Skalnaté Pleso ski resort, this guest house is in the village of Veľká Lomnica. Facilities include a café bar and a small spa area with a sauna and hot tub.